I think he mean non-fiction versions, with for instance real-life names for villages and no or other type of military infrastructure. It would be a lot of work for minor differences IMO. The other day I had a dream in OFP style. A little bit like switching between playing the game in the dream and actually being in the mission (in the dream), nothing special. When I woke up, I thought 'Why wasn't this dream in Arma 3?' It would have looked better and I would have more options..
Old school, but so old I might as well be ancient. Have a close look at all the editor functions, there are lots of modules and settings for spawn and other stuff. Entire game modes are modules! As an old schooler myself, my reflex is to start scripting immediately, where often it is not necessary. The 3den Enhanced editor mod helps with an expansion of the normal editor. Welcome back, another OFP player here. You'll soon find out that there's probably more of OFP in Arma 3 than you would wish 😉 Nevertheless, Arma 3 is a great game. I kind of jumped from OFP to Arma 3 because the other Arma's had not made enough progression in design IMO. For me Arma 3 was worth getting into again, I knew it would be thousands of hours.. 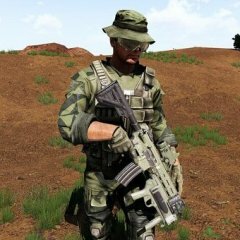 If you like the sandbox aspects of Arma, meaning a large variety of play, I can recommend getting basically all of the DLC's, there's so much interesting stuff in there. - I don't think it is good business sense to convert A3 to console, because the game is relatively old. 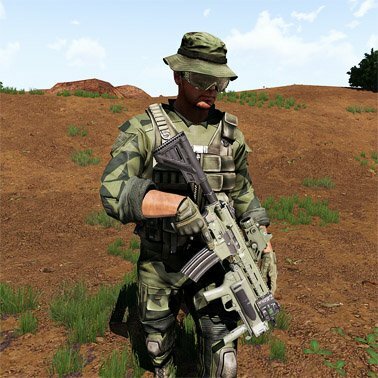 - Arma has a kind of continuous development thing going on. To service both pc and console you would get two dev-branches that require a lot of overhead. You could reach a new audience, but I'm not convinced the size of potential customer group is worth the investment risk. The starting premise of this thread was: shooters are often too 'simplistic' for console, Arma can bring in a more 'complex' alternative. The question makes sense, but maybe Arma is a bit overkill? I have had great times with serious tactical shooters like Rainbow Six Ravenshield. Maybe this type of game would fit better: it's not a highly moddable sandbox, but it's still a serious shooter with mission editing. This is actually a case of the game becoming more sophisticated. AT guys won't fire heat guided weapons at cold vehicles. It's not perfect, but it gives some choices between tactical movement (hot) or hiding (cold) for vehicles. I don't think the AT guy will fire a titan manually at a cold vehicle, so some 'intelligence' is unfortunately missing for these units. In mission design you can take this into account by using patrolling vehicles or heating the vehicle with a script command to pretend they have stopped, but were recently driving/shooting to adjust the mission difficulty. Maybe I'll give it a go. I have a personal rule that I only write one or two page scripts for this game. Going further often leads to a time-sinking rabbit hole with disappointment in the end. Learned the hard way 😆 So definitely not a dynamic convoy system for me with obstacle scanning etc. But I'm interested in let's say marking an (empty) route with a couple of triggers, feeding that into a script that makes a convoy drive *guaranteed* to its destination without any stops, swerving, turning back, bridge evasion etc. I often use partial dynamics in my mission. I would probably map out two or three of these routes, one of which will be chosen randomly or based on mission events for each time you play the mission. Is it possible to use this approach with a system that detects road objects within a certain radius or box trigger(s). The road object positions (with a certain offset?) could be fed into setDriveOnPath creating a reliable convoy route? What i expect from "Old Man"
I can make this mission for you. How many buddies do you want? 😉 Imo, for an open world, persistence and making your own story is important. If things don't interact or influence it's not an open *world*, it will be more like an interactive mission launcher. One example that I use in my missions to give it a 'open world feel' is enemy helicopter reinforcements. In this mission type you get a number of destroy objectives/ locations. One or more of these locations is also preselected (not known to you) for enemy helo reinforcements so that as soon as you show up, a helo with infantry is dispatched to the location. If you hit the selected location(s) early it will give an emergent story of 'they are reacting immediately'. If you hit the selected location last it will seem 'they are fed up' with your agressions and finally are doing something about it. With multiple helicopters you can get this scenario multiple times or even multiple helo's sent to one location in which they will manage to basically reclaim the objective. Finally, the most important aspect: the helo's are not virtual, they are sitting somewhere at an airfield with the infantry guarding them. If you manage to discover them (by intel or recon) and destroy them at the airfield, you are free from their harassment for the rest of the mission. Personally I really like this type of emergent story bits and the persistence of assets, that you can interact with in at different times and in different ways. I hope an official open world scenario of Arma would have these things. Lexx speaks truth, I stepped in a boat on Altis and sailed east for three hours. I ended up in New Delhi..
As a fan of those kind of games I can say it is actually in large part *because* of these tile based engines that they achieve open world feel. Whether it is Colonization, X-Com or Fallout, their tiles constrain multiple elements of meaning and interaction in individual tiles or limited areas of tiles. In that way the most essential game mechanics are represented in a concentrated form and at the same time huge maps can be used in the game, sometimes the size of continents. With realistic 3D game representation, there is a paradox that it seems to promise space and freedom of movement and action, whereas in reality it's actually limiting in many ways. In these types of games there are often many restrictions, for instance because the world representation is limited by computer power and number of assets and animations. There is no such thing as viewing distance in Colonization. For 'Old man' I'm also having some doubt if they are actually going to do it, I too believe that it is a kind of experiment / extra thing. And as always, people's wishlists start interfering immediately with their reasoning powers. Arma development has always been one of slow iteration. My strategy has always been, expect nothing, be pleasantly surprised with what you get. I don't have time to think about it anyway, because I'm too busy playing Arma. 'curiosity thread' is an apt description.. 😆 There is no new official news. Before OFP I loved Novalogic's Delta Force. A 'realistic' shooter introduced to me in the following way: 'you are good at shooters aren't you? there are enemy's over that hill, walk over the hill and try if you can shoot them. My character walked over the hill and sank gurgling to its knees killed by a sniper bullet. I was blown away by a game with real bullets that could kill you in one shot. Then came OFP. The same, but with more weapons, vehicles, controllable squad mates and a mission editor. Hooked for life! How to force AI to holster weapons? CSAT Specops: To remain undetected requires some ice-cold neutralizing.. This is indeed one of the crudest and definitely failing AI behaviours. It seemed (at least at the start of Arma 3) that vehicle group AI was just copied from infantry AI, so the vehicles try to act as if they are people. Something went horribly wrong in the design as vehicle groups were behaving better in OFP. I'm not sure if this is related to OP's topic however (vehicles driving over people).. The vehicle killed you because he thought you were an idiot and a coward standing in the middle of the road with your back to the enemy. The medic couldn't be bothered to help you, because you seemed insisting on getting killed. ;-) Jokes aside, I don't dispute the AI is sometimes crude, but I don't think this is a good example. The problem is more serious with multiple vehicles and infantry moving up together or moving in non-combat situations. I tend to separate them (even on different roads :-( in order to prevent accidents and holdups. What helps is to decrease the speed of the vehicle in certain situations. If the AI has better speed management in Arma (4) that would improve the situation IMO. I agree with target_practice, the most natural way to learn is first try what you can do with the editor. Then you will run into some limit which you can try to solve with SQF. Then you have a very specific problem to solve. It will be more clear and motivating. Also my #1 tip: work with the game and not against it. There are awesome things you can do and some mundane things you can't. Don't spend too many hours trying to solve impossible problems, just change your mission to fit the game.